Im MoMA ist bis Ende April eine Tim-Burton-Ausstellung. 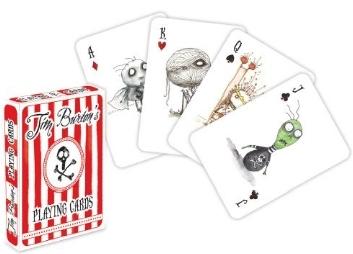 This set of 52 playing cards features drawings of many of Burton’s cute and creepy characters. Each card is backed with stripes and a skull and crossbones image.